Have I ever told you just how much I love pricing? In the world of product management, there are so many talented people that I always felt both jealous and just a little overwhelmed. I mean there are product managers who have an amazing depth of product knowledge, there are product mangers who know their markets inside and out, and of course there are those product managers who know how to get anything that they want done within their company done and done quickly. How the heck was I ever going to measure up to these gods of the field? It took quite sometime; however, I’m pleased to say that I found my niche – pricing. I discovered pricing somewhat by accident while working for a large European telecommunications equipment provider. Once upon a time, when I had a brief moment to stick my head above the waters of daily product management activities, I realized that none of my peers wanted to touch anything to do with pricing. All pricing related activity was shoved off onto the finance department from which magical prices would reemerge. In a nutshell, nobody had any clue as to why we priced our products where we did. I didn’t take any action on this little nugget of information at the time; however, I started keeping my eyes open. My next surprise came as I started to get some more insight into how the sales teams were selling the product. The first thing that seemed to go out the door was the list price. After that, it seemed to be a race to see how low we could drop the price in order to get the sale. I was seeing discounts as large as 50-60% on relatively new products. Without knowing any better, I assumed that whatever magic price the folks in finance had set was able to withstand this kind of massive discounting. It turns out that I was wrong. Most firms didn’t worry all that much about pricing in the past. As long as you knew how much a product cost to make, then you could tack a generous profit margin on top of that and you were set. However, this all changed in the 1980’s. This is when the long established market leaders started to get their clocks cleaned by new startups that didn’t seem to care about market share. Instead, these new competitors specifically targeted the larger firms most profitable customers (known in the biz as “cream skimming“). This was followed by a wave of companies being taken private, having their product prices raised even as market share dropped and yet still starting to rake in huge profits. Just as a final confirmation of the importance of pricing and making a profit, need I remind you of the dot.com era? All those new companies went on a footrace to try to build the largest market share, profits be dammed. Ooops, when it all ended the quickest runners went bankrupt while the few that had actually still focused on profits were the last men standing. I finally had a chance to sit down and talk with some of my friends in the finance department over lunch and I asked about the the magical process that they went through to set prices. You can imaging my surprise when I found out that all they were doing was taking the cost of the product, adding the current “company overhead” margin, and then adding a 35% profit margin on top of that with the expectation that it would be discounted no more than 10%. Ouch – talk about simplistic pricing! My friends pointed out to me that the company was more concerned about growing revenue than profits at this time and so that was why I was seeing some fantastic discounts being approved. Needless to say, this was sorta like discovering that Santa wasn’t coming this year. The secret pricing knowledge that I thought that Finance had really wasn’t there – the emperor had no clothes! I spent much time after this focusing on learning as much about pricing as I could and that information has served me well over the years. In future posts, I’ll share my secrets so that you too can become a master of product pricing. Do you set the prices for your products or is it handed off to another department to do? 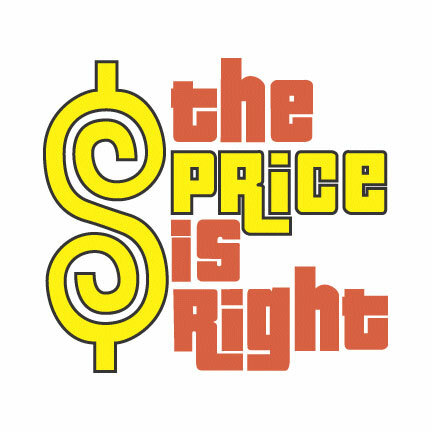 Does your company use a sophisticated pricing strategy or do you basically set it and forget it? Is company profitability something that you are under pressure to increase you product’s contribution to? Leave a comment and let me know what you think.